In his 14 seasons as head wrestling coach at Wyoming, Joe Dowler built the Cowboy program into the finest in the region, and re-established it as one of the best in the nation. With Dowler at the helm, the Pokes compiled a 105-62-1 dual record while capturing four straight Mountain Intercollegiate Wrestling Association (MIWA) Championships, and three Western Athletic Conference titles. Dowler coached 35 conference champions, two NCAA placewinners, and two All-Americans at Wyoming. Named WAC Coach of the Year three times (1983, 1985 and 1986), he was a finalist for 1986 NCAA Wrestling Coach of the Year. He also was president of the National Wrestling Coaches Association. The Cheyenne native also helped initiate the Junior World Wrestling Program, and coached the USA Junior Freestyle Wrestling team to the World Championship. The sixth coach in Wyoming wrestling history, Dowler completed his career with a 142-77-2 dual record. His collegiate coaching career began at Wisconsin-Superior in 1970, leading that school to two league championships, and two perfect seasons. Prior to that he established himself as one of the top high school coaches in the Rocky Mountains. In eight years at Cheyenne Central and Boulder, Colo., high schools, his record was 67-19-2. 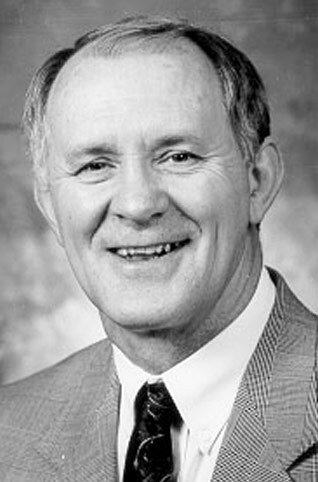 Dowler was named Associate Athletics Director at UW, in 1987. In that position he administered the day-to-day operations of the athletics department, for Athletics Director Paul Roach who also was serving as the head football coach. Dowler held that position until his retirement. Following his retirement, he initiated and coordinated the “W” Club for all UW athletic letterwinners.